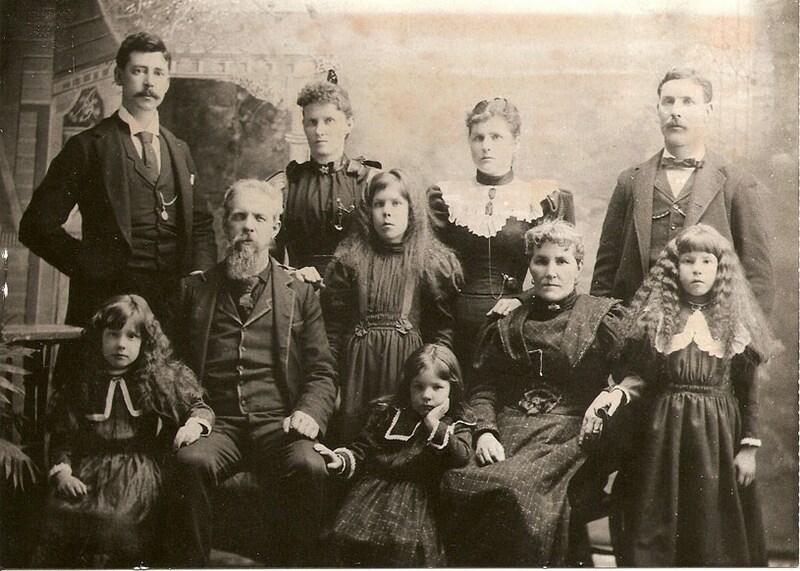 Mathias is pictured at the left with his family in Ashland, Ashland Co., Wisconsin in about 1895. I received this photo from another Firmenich researcher in 2009 and it’s the best photo I have of the Mathias Firmenich family, and the only photo I have of Mathias’s wife, Pauline (Thompson). Missing are Anna, Hattie, Edmond, and Sarah. They all died during a diphtheria outbreak in September 1885.